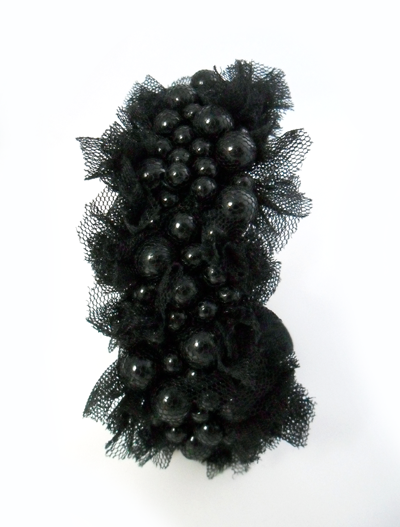 Individual hand wrapped pearl embellishment sculptured to form a stunning wrist accessory. 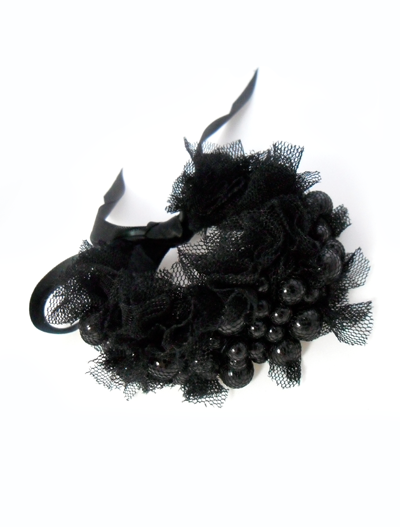 Each is delicately built up to form a flattering bracelet with luxury satin ribbon tie which lines this elegant piece. 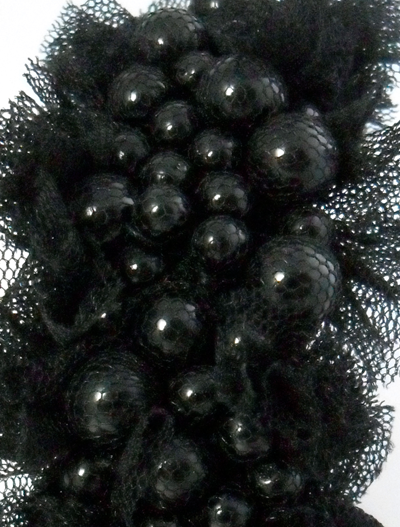 Materials: Soft Net Tulle, Glass Pearls and Satin Ribbon. Dimensions: 5 cm width x 17 cm length, Ribbon Tie 30 cm length (measurements are approximate only).